Main Floor South County Condo available in the Rustic View complex! 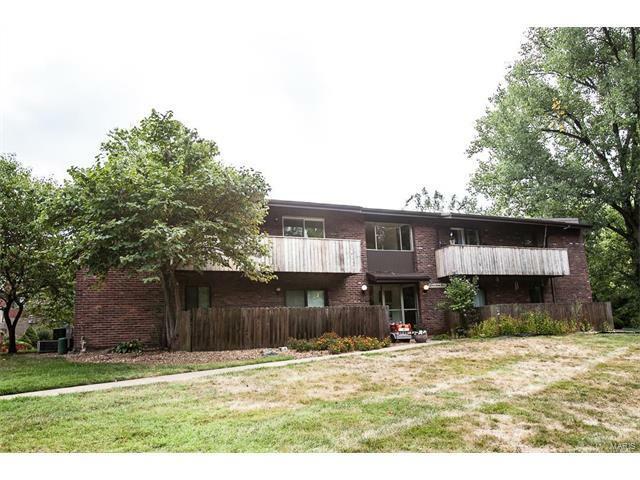 Brick building tucked away within a quiet residential neighborhood in the heart of Mehlville! The living room is large & walks out to the fenced patio-looks out to plenty of green space to play & room to BBQ & entertain or just relax in this private setting. The Kitchen features brand new counter tops & backsplash, white cabinets, breakfast bar, black appliances, vented exhaust, dishwasher, built in microwave, & separate dining area w/ceramic tile floor. Condo fees includes:Water, trash, sewer, storage locker, pool maintenance, landscaping, snow removal & more! All electric, 1st floor unit, 1 step entry-new flooring, fresh neutral paint, white trim, updated bathroom, sidewalks, 2 bedrooms, move right in! Enjoy summers at the inground subdivision POOL! All appliances stay! AHS Home Protection policy in place, plus 1 year of buyer coverage. Prime, secluded location. Passed occupancy inspection.